Learn from the selfless man, whose contributions in serving others, has led to valuable changes in the lives of thousands from around the world. Listed as one of the 100 most influential black people in Britain and ranked No.6 on the 2016's Top 100 Black British Business leaders, he was also the first CSR head of the BBC. He now leads Global Citizenship at KPMG. Read on! After the 5 very productive teaching years moulding his early career, Lord Dr. Michael Hastings CBE moved on to work with the Government to empower societal change from within by bringing employment and development to Britain’s inner cities. He moved on to work at TVAM on education programming and then GMTV as Chief Political Correspondent. He worked with BBC as a presenter of the weekly Around Westminster programme before joining its Corporate Affairs division. Lord Hastings takes us through the journey of his early years, which was positively influenced by great role models within his family and how he found his purpose at a very early age. Having grown up in an oppressed Jamaica during the Cold war period as a young boy, he witnessed a considerable change in his environment, when the powerful and skeptical American government began to move against Jamaican interests in light of democratic but ill considered decision. At the age of 10, he watched the breakdown of a genuine mixed race society with the rising anger of the black majority crushed into poverty – as a consequence, people were attacking one another in the streets. Slowly, it became hard for Jamaicans to buy ordinary things like imported food and other necessities in local shops. It was during this time, when a box arrived from people who had moved away from Jamaica to Canada. “Immediately, my mother opened it. The box had commodities that we needed, but with the aim to exemplify to the family what it meant to be purposeful, she decided to give away almost everything to other families within the community. This was when I learnt what it meant to be purposeful - she was giving away, what we just received that we never had. I learned in that magic moment, about the gift of giving away” he says. 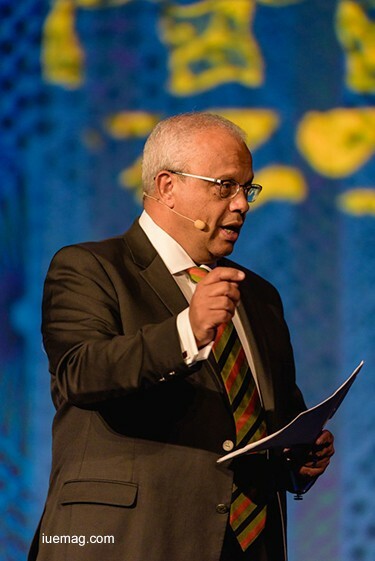 Lord Dr. Michael Hastings of Scarisbrick, CBE, 58, is KPMG’s Global Head of Citizenship. He represented KPMG International on the Global Corporate Citizenship Committee of the World Economic Forum and was also a Board Director of the Global Reporting Initiative. In January 2003, Michael Hastings was awarded a CBE in recognition of his services to crime reduction, including 15 years as Chairman of Crime Concern. He has also served as a commissioner, on the commission for Racial Equality, for 9 years. In 2005, he was awarded the honour of an independent peerage to the House of Lords by Her Majesty The Queen. He also received the UNICEF award for his ‘outstanding contribution to understanding and effecting solutions for Africa’s children’. The list of his contributions never ends. Let us now learn from him, of what it took to walk this long a journey, selflessly serving others. 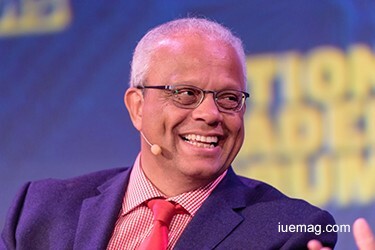 IJ Kavyashree: Lord Hastings, how did the thought to empower the world emerge in you? 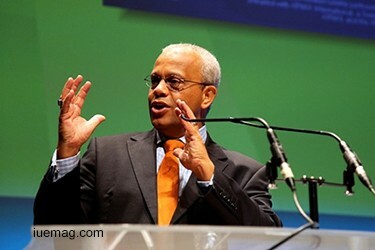 Lord Michael Hastings: During the early 1970s, we had to face a lot of struggle. There was hardly anything with us, but whenever we got gifts from someone, my mother generously shared with others. That is the principle to make sure that the community is helped. When most of the people think about having fun as a teenager, I learned the importance of helping others, to be sacrificial and generous. Also, I gradually learned that we grow when we help others grow. So I also wanted to share meaningful opportunities with others. If I knew about something, I would take it to my heart and pass it on to others as well. These characters got instilled in me as I did these activities more often. IJ: More leaders learn to face struggles, when they learn from leaders like yourself. How can one push himself/herself to walk a life that can be fully lived? 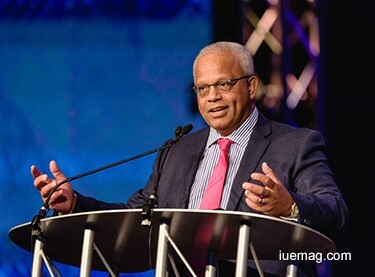 Lord Hastings: Having a vision bigger than a job is important. If you do not have any vision, then you are disappointing yourself and other people. For any leader, it's important to have a vision. If you have a vision, the size of the job does not really matter. You are more energetic at work if you have the vision. Most people who work in big organizations need to love their job at the end of the day. You need to have a reason to love the job and that is the ‘Vision’. A huge obstacle for people is that there is a lot of competition. People are fighting to project their intelligence, but they have to be helping each other achieve. They have to learn to live together; work on partnerships. The relationships of course, is the real asset of life. IJ: What is your definition of leadership? What according to you, are the three most important qualities of a leader? Lord Hastings: Leadership is ‘learning through doing’ and through developing more leaders as you grow. The first and foremost important character of a leader is integrity and character. The moral values are the highest priority. Second most important – leaders need to lead from behind. A lot of people say that the leader should lead and the others should follow. The right way is to let the team walk and stand by them when they need. Third, a ‘ true leader’ is someone who develops other leaders. It is about inspiring people and making them productive. The ability to change the world through inspiring others to take action is leadership. IJ: During your service for crime reduction for more than 15 years, there must have been political pressures at times, to not let you do what you did. What made you fight them? How did you tackle? Lord Hastings: Absolutely yes! There was a lot of political pressure. What drove me was the need to solve the problem. Also, to prevent crime rather than correcting it. Preventing is what increases the faith and correcting is an indication of justice. I was determined to prevent crime even before it actually happened; having worked closely with leaders of many countries, I had an idea of executing better. There were officials from all political backgrounds, but I was clear that we had to make sure we minimize the political battle and win over the crime. Since the goals were clear, we could implement our plans well, although there were many highly influential people who tried to pull us down. IJ: With recognition comes responsibility. At every step of growing up the ladder, the to-do list certainly becomes longer. How do you manage priorities- work and family, at every walk of life? Lord Hastings: The balancing is surely a difficult part of life, but if one wishes to achieve, then he/she has to do many more things. People feel that they cannot do many things, but we can actually think about many more things; We can also do much more than what most of us do. A lot of people would tell me - ‘You have lived two lives even before the age of 50!’ and I say, ‘I have lived one life; You feel so because you have lived half a life’. That’s the challenge I put. If you really love what you do, then you can actually do many things if you love them all. You love what you do only when you enjoy doing it, even when there is no one watching you. Many people say ‘I don’t have time’; it’s about making time. You will make time for what you care about. IJ: Which of the causes that you have worked for, has in turn satisfied you the most? What more do you wish to work towards and be the reason for a change? Lord Hastings: The first cause is to fight poverty and hunger. I have worked with various agencies, networked and have got associated with various organizations to help solve the problem. Some of the United nation’s Sustainable Development Goals are also in the list of causes we are working for. We believe that we will create a history of ending the poverty by 2030, to tell the world that anything is achievable. It is 14 years away; There is a lot of work to do, but we will! That is the driving momentum. The next one is the Millennium Villages Project of KPMG. People living in many places of Africa, are living with no proper sanitation, no clear understanding of health issues that are caused due to unhygienic environment, no proper food. It is a commitment that we have taken to solve major issues here. From the kind of results we have got, we are now able to demonstrate what development we could do, for the overall growth of the society. Another most important responsibility I have taken up and aspire to continue to do, is to help people with opportunities that they would otherwise not get. I will continue mentor many more of them and have share as many opportunities possible. IJ: How was your experience as the first head of CSR at the BBC? Lord Hastings: Before I worked as the CSR head, I was constantly leading and worked for various causes on behalf of the government. I gained very deep insights about the roles people play and about their emotional life, values, and relation. It was been a privilege position at BBC. The expectation was higher. There was a huge responsibility and at the same time, it was an opportunity for me to prove what more I could do. We did a lot of programs and activities in Africa. We also did major programs in spreading positivity to the wider world. I knew that, through the position, I had to lead the change! IJ: How important is it for a youngster to involve himself/herself in social activities? Lord Hastings: It is massively important for the youngsters to involve in the social issues. You need to involve in the activities to be able to live life, with no regrets. If I have to term it for the current selfie generation, capture the picture of not yourself, but of others. It is important to develop the habit of giving. Those who have, should give more to those who don’t. You will continue to create money throughout your life; so, give more and you will get back a lot of happiness, which is the ultimate result you want in life. IJ: What are the five most important lessons that life has taught you, that you wish to share with the upcoming leaders? Lord Hastings: It is essential for young leaders to believe in causes and work towards them. If you do not believe, you do not live. It is important to care about these. Second, when you believe in it, you should act upon it. Change the small things around you, it will impact in a bigger way. The third lesson is passion - To be extremely passionate about every work that you do; this will take you, very long way. Fourth lesson is acceptance. Accepting any work given to you. Unless you do it, you would not know if you have the ability to do it or not. When you say, you cannot do something, you are actually missing the opportunity to understand your own potential. The final and the most important lesson is to love people around you. The whole world is your family and it is your responsibility to take good care of them. These powerful lessons, empower each one of us realize that we need to continue to help others grow, while we take the leap. The world needs more such leaders, who will not only contribute to the growth of the society, but creates more leaders like themselves who will, as well become the reason for a change in millions of lives! Any facts, figures or references stated here are made by the author & don't reflect the endorsement of iU at all times unless otherwise drafted by official staff at iU. This article was first published here on 5th May 2016.